Are you ready for a more radiant and youthful skin? 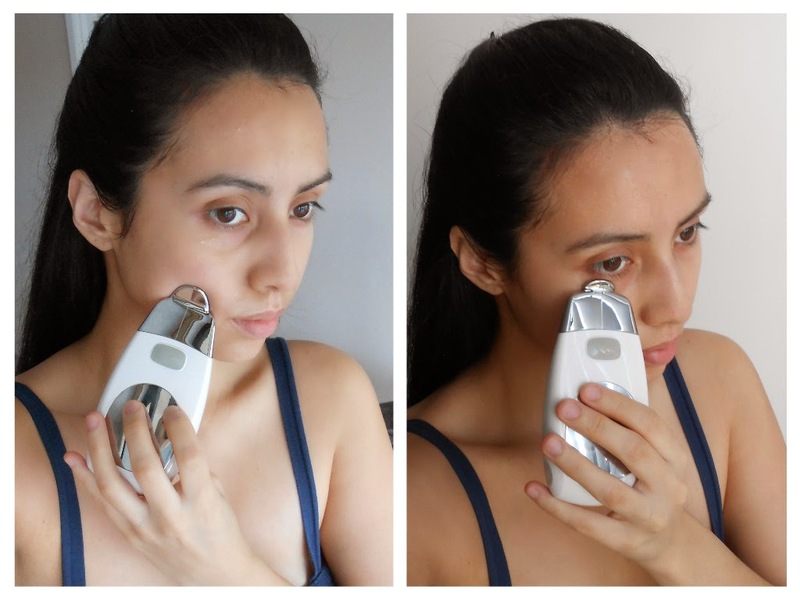 Nu Skin has unlocked the future of skin care with its at home spa, the Nu Skin facial spa device with conductive gel. Using microcurrent technology, this powerful combination stimulates and tones the skin resulting in an improved appearance. Now I can easily perform three regimes per week and enjoy the benefits of a spa visit as part of my regular anti-aging skin care routine, all in the comfort of my own home. 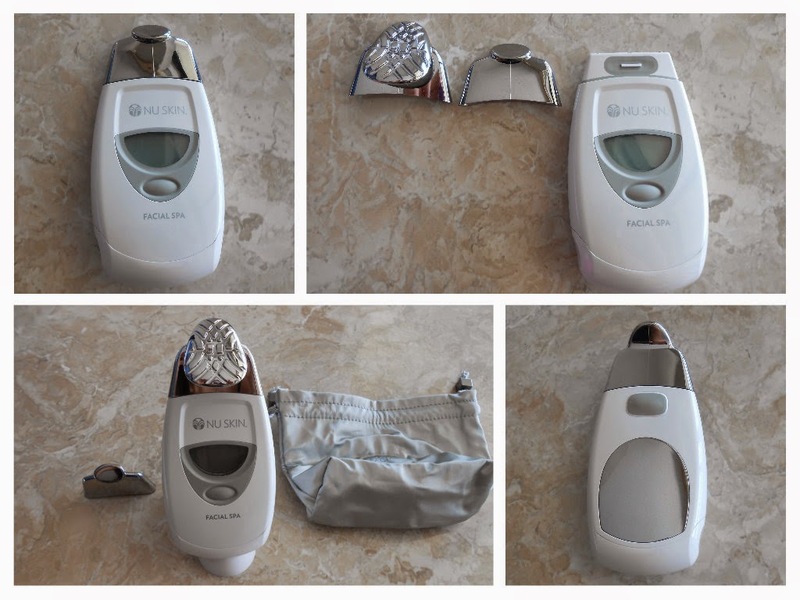 With two interchangeable conductors, the facial spa device features settings for a 10 minutes, full face session and three five minutes, targeted area sessions to suit all my needs, preferences, and lifestyle. The included conductive gel conducts the current and helps the facial spa device glide smoothly on the skin. Nu skin Facial Spa also includes a large, bright display and enhanced ergonomics, making it easy to use, effective at home spa system. Since I have being using this kit I can see the amazing results, my uneven, tired and flaky skin now looks very tone, healthy and more voluminous. I feel so happy when I wake up and I see a new me in the mirror. Not only that, my husband also told me how nice and bright my skin looks, it is like I am glowing from inside to out. This device is small and works with 2 AAA batteries, making it travel friendly. 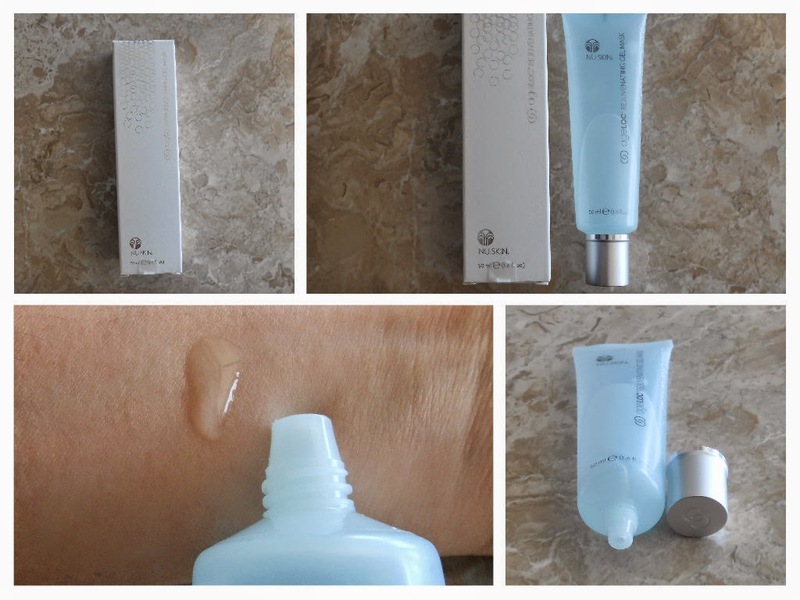 1 ageLOC Gentle Cleanse and Tone. 1 NaPCA Moisture Mist . 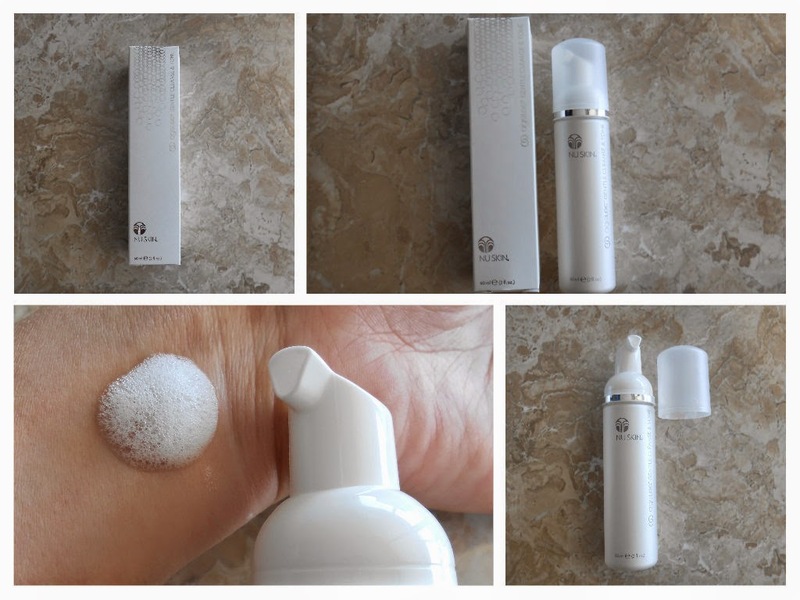 1) I wash my face with the ageLoc gentle cleanse and tone. It is one of the most gentle cleansers I had ever tried before and it will be perfect for everyone, including people with sensitive skin. 2) I spray the NaPCA Moisture Mist on my hand to help with the conduction for the device. This spray is also perfect just to refresh your face and add moisture to it. I like to use it after the gym or on a hot day like today. 3) I apply a good amount of the conductive gel on my face. 4) I start using my Facial Spa device. I always use ascendant and circular motions for my whole face, I do this for 10 minutes with the bigger conductor for my large surface areas. After that, I change it for the smaller conductor made for targeted areas like my eyes and lips, for another 5 minutes. 5) I apply my Radian Day Facial Mask, which leaves my skin feeling baby smooth and very hydrated. I leave it on for 5 minutes and I rinse out with water or a damp cloth. 6) Finally I rinse the facial mask with water and apply my Radiant day cream with SPF 22 cream at day time, this cream is very light weight, and goes on very smoothly, leaving my skin moisturized but without a greasy sensation. Also, the SPF 22 is a plus that I really like. If I do it at night time, I just apply my serum or night cream. 7) I clean my facial spa device with a damp cloth to remove any residues of gel. What Nu Skin Product or products are you more excited to try out? Thank you so much for reading! Wonderful review as always! Can I buy the products separately? thank you. I want to try all of it and see how it does on this old... old skin. My girlfriend would love this. She's always doing mysterious lady beautifications on her face. Interesting little spa package. I've got really good skin, but I think even I could use something like this too. Who wouldn't want to indulge in this spa package! I love a good face mask! Ahhhhh.... A facial spa package sounds so relaxing. I actually used to give facial massages, but have never had or done a facial using amazing products like this. Sounds like a great product to get rid of dead skin and leave your face feeling silky soft. Yep, you can pick up triple A batteries most anywhere, so that does make it travel worthy. What a handy device! This looks like a great line for face care! I'm obsessed with face masks and would love to try this one! Such a great review! What an awesome kit! Having good skin is so important to looking and feeling healthy and young. This sounds great- I could totally use this. Thanks so much for the great review! I'm loving this, I've been looking for some ways to revamp my skin routine for the summer. This sounds like a great line. I've never heard of them before and have the same question as above. I wonder if they could be purchased/used separately. This is such a great review. My skin has been so dry lately - I need to find something. This is very interesting. I have never tried anything like this before. This kit sounds like it could do a lot for anyone's skin. Glowing skin is a pretty awesome end result. Wow, it's nice when you get a complete set of the products that yoyu love. These sounds like a good line of skin care products. Oh this sounds really lovely! My face could sure use that mask that's for sure! Great review and an even better tutorial! I will have to look into this facial spa package sometime soon. I've never seen this before and I could really use a facial spa package. I'm all about keeping my skin young and healthy looking. Wow, nice kit. I haven't seen these before either. I'll be sure to keep an eye out though. Thank you for sharing. Nu Skin has been in my country for a while, but I haven't tried any of their products. 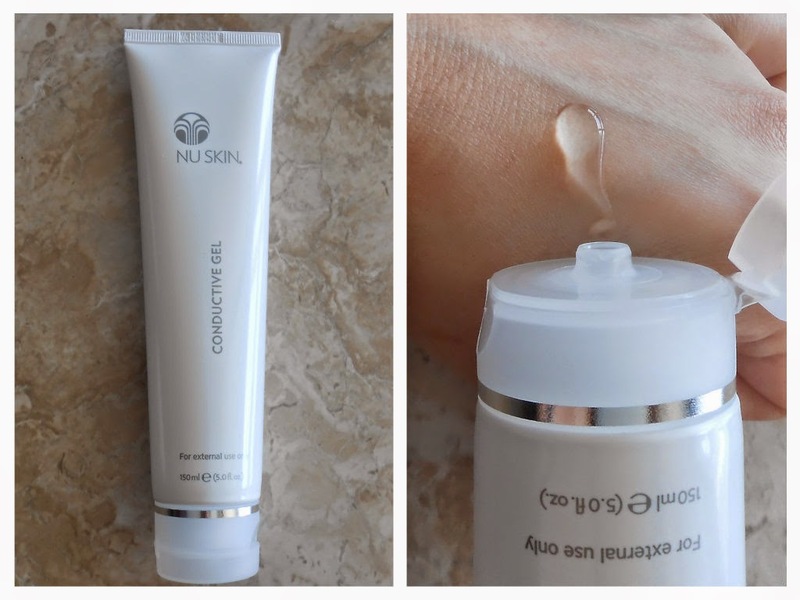 Although I have several friends who also swear by Nu Skin - Imma ask them about it so I could learn more and with your recommendation here, I think I will try Nu Skin products. You got me at how it helped flaky skin - mine's gotten dry for a week now because of our weather. Hope it'll help me. It's so important to take good care of your skin as you get older. This regimen looks like it is perfect for doing just that. This sounds and looks amazing, this kit has everything you need to have your own spa facial experience! This kit sounds like it's doing wonders for your skin! I need a good regimen after winter did a number on my face! Looks like a great kit. Nothing like a good moisturizer. What a great package! Looks like there is everything you could need! 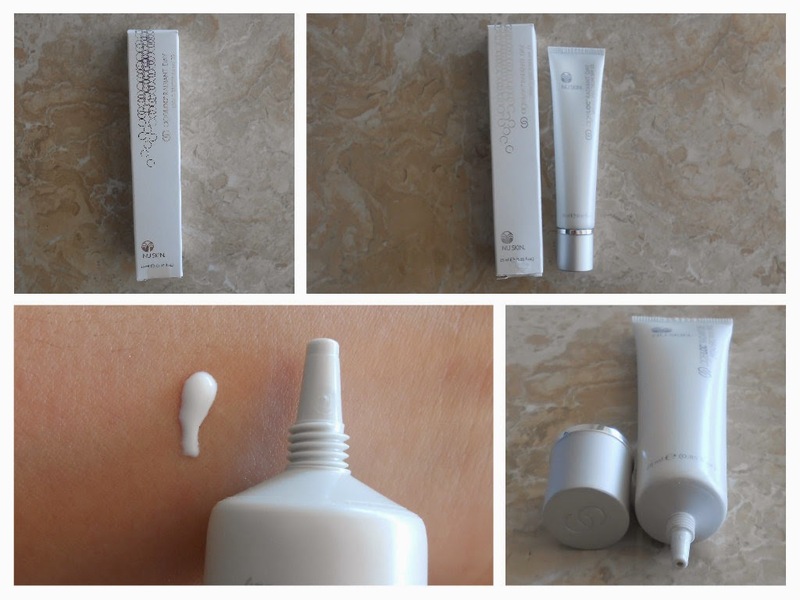 I have never heard of NuSkin but this kit of products looks amazing! I'll definitely have to look into this! These products look really awesome! I've never tried new skin, but I really want to ! Looks great. Anything to stay looking young! I could use a little spa treatment like this. Seems like it'd be so good for the skin. I would love an at-home spa package like this! Thanks for your review....I'm always skeptical of how well they work. I love trying new products! This sounds fab, it's the first time I'm hearing about the brand but I'm sure it won't be the last. Thanks for the tutorial! I wasn't really sure if I knew how to properly use products like this, but now that you have it right here for me, it's not a problem! I know my daughter and I would love something like this! The only facial spa treatment I have is one my hubs got me for Christmas a few years back, and it is not as good as this! I'd love to get my hands on that whole set, but I'd really love to try the day cream with the SPF of 22! This looks like a fantastic kit. I would love to try Nu Skin. I have noticed my skin changing the last few years. I could use a facial! I will have to check this out! I have heard great things about Nu Skin! I have been wanting to try them out! What a great review! Sounds like a cute spa package. I am having sensitive skin so that I avoid using parlour packages for my facial. I think this kit would help me a lot. Will have to give a look into this. I would love to try the facial spa device. It sounds so pampering! Great review. That sounds like a great spa package. The last time I had facial was years ago. I would certainly love to try that. This sounds awesome!!! I'm all about anything that does with the skin! I wanna try this out super bad now!! This sounds like as great group of products to try. I've been looing to change up the products I use so I appreciate the info! Thanks! Looks like a great product, Sharing this to my wife, she would love this for sure. My face desperately needs these products. I would love to try them out. This looks like it really cleans your face well! Thanks for sharing! My skin type is the same as yours so this would be absolutel perfect for me! I'm definitely going to have to check it out asap! These look really cool! I need to try this since my skin care regime needs some help! Oh wow, I would definitely make use of those package. I have heard about this brand way back - sounds wonderful. thank you for the post on this great one :D.